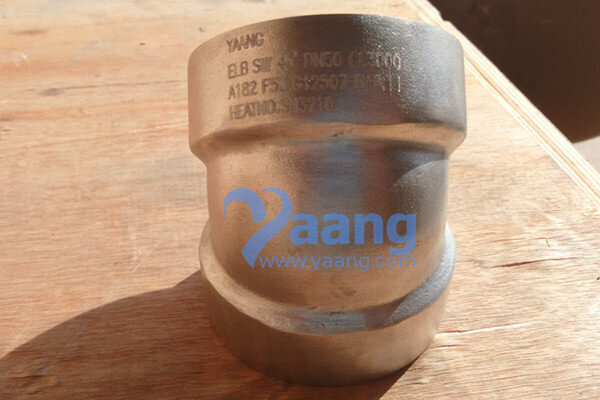 China SW Elbow Manufacturer www.pipelinedubai.com offers ASTM B16.11 A182 GR2507 45 Degree SW Elbow, 2 Inch, CL3000. Socket Bore (B) – Maximum and minimum dimensions. Bore Diameter (D) – Maximum and minimum dimensions. Socket wall thickness – (C) – Average of Socket wall thickness.